Are you looking for a bird that will stand out in a crowd? Sultans are certainly a great breed to fit this bill. Adorned by long and flowy feathers on their tail as well as legs and feet, Sultans have a unique appearance and are sure to catch eyes wherever they go. 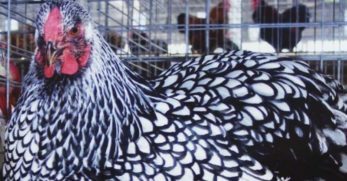 These birds make a great choice for a chicken keeper after a pet or fun breed for show. 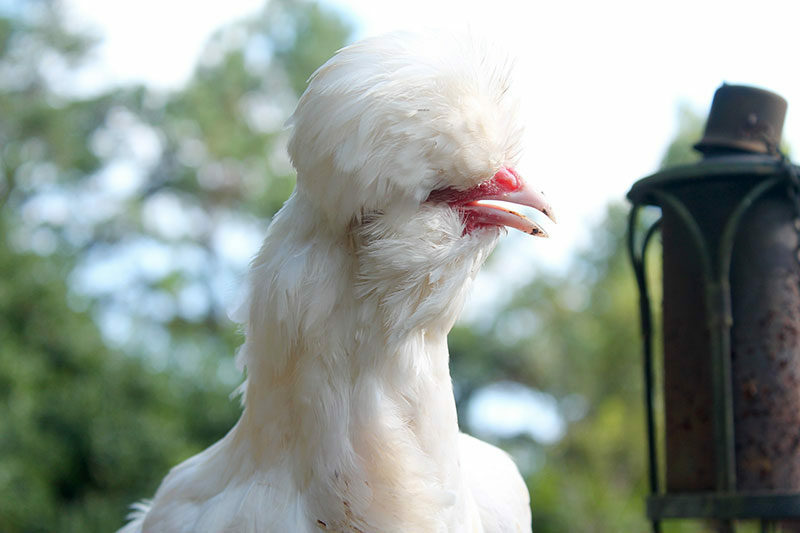 Sultans are an ornamental breed of chicken that originated in Turkey. 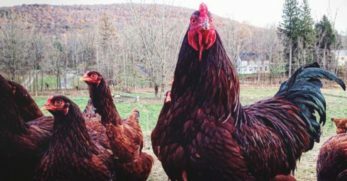 These chickens were first exported from Turkey when Ms. Elizabeth Watts brought some birds back to her London home in 1854. 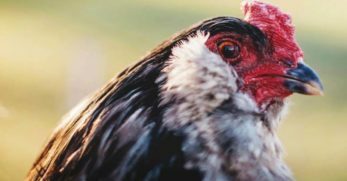 Sultans made their way over to North America in 1867 and were accepted into the Standard of Perfection with the National Poultry Association seven years later. There are three color varieties, blue, black, and white, with white being the most common color. Sultans are not exceptionally large birds and not quite a breed to recommend for meat production. 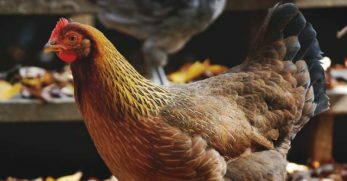 The average weight of a full grown hen is around 4 pounds. 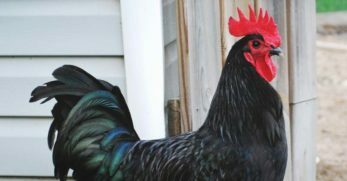 A fully matured Sultan rooster will likely top out at approximately 6 pounds. Sultans are generally calm and docile chickens with gentle dispositions. Their temperament makes them well suited for children to raise and show them as well. 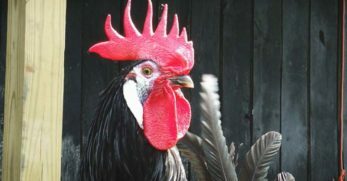 Even the roosters have laid back personalities and love the hens in their flock. 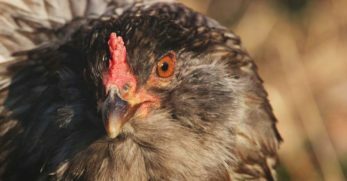 Hens aren’t very likely to go broody, so you don’t have to worry about lugging a grumpy hen around to shows. Sultans are definitely not a breed raised for egg production by any means. 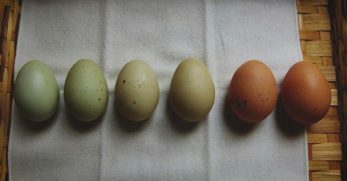 Average annual egg production is around 50 white eggs per year. Yikes! Certainly not much to brag about. 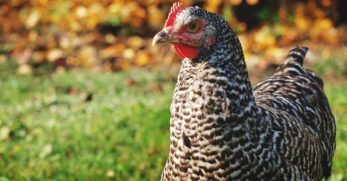 If you’re after good egg producers, look into some different breeds, such as Barred Rocks or Leghorns. Since Sultans are rather small chickens, they don’t have great meat production either. 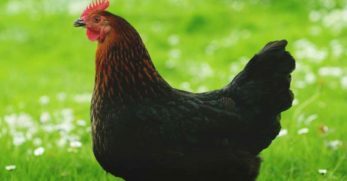 If you’re after some good meat producers, look into Brahmas or Orpingtons as these birds make excellent dual-purpose chickens. Sultans aren’t incredibly picky or hard to feed; they are happy with standard laying rations and the occasional treats. When your Sultan chickens are chicks, provide them with a good quality chick starter up to when they are 16-18 weeks old. 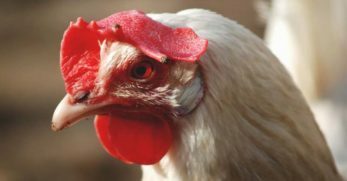 Once your birds are around laying age, transition them to a complete ration for laying hens. When it comes to housing, Sultan chickens don’t require an unreasonable amount of space and do very well in confinement. 3-4 square feet per bird in the coop will suit them quite well, with 8-10 square feet per bird in the run. If you are showing your birds, you may choose to keep your birds in raised cages during the showing season. Keeping show birds in raised wire cages will keep them cleaner for shows. Sultans are fairly healthy birds with robust and clean bills of health for the most part. However, the fluffy feathers on their faces and legs can be a harbor for external parasites such as mites or lice. Maintain a clean coop and good dust bath area to help prevent these pesky critters. As far as overall health goes, keep a close eye on your flock to catch any potential issues before they can really take root. Breeding Sultans is a fun project for all ages! 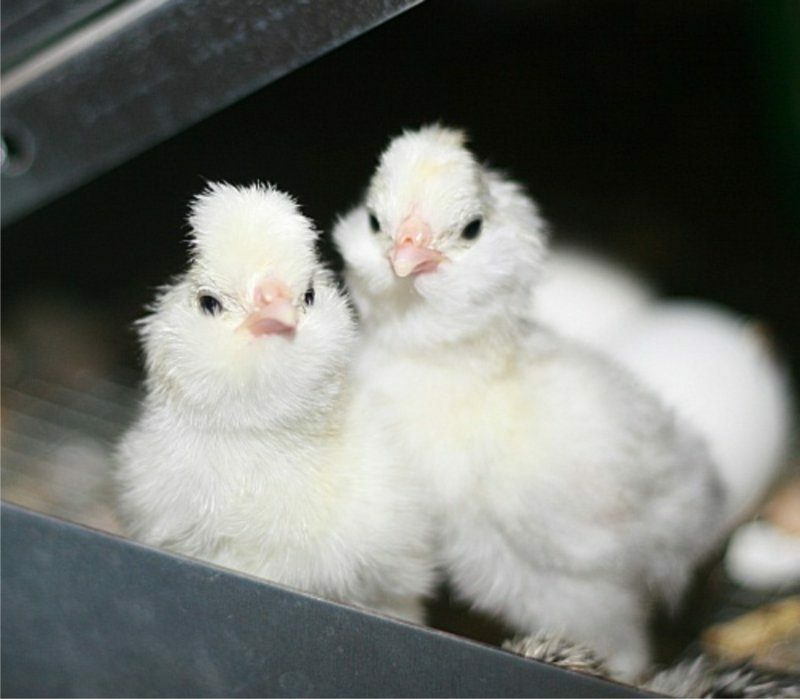 The resulting chicks are absolutely precious with their feathered feet and fluffy cheeks. Sultan chickens also make a relatively easy bird to breed since they do not have complex feather patterns. 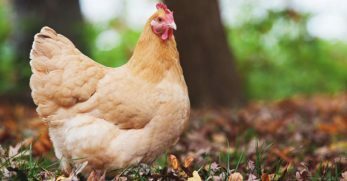 Since these chickens lay smaller eggs, their chicks may sometimes hatch a day early because smaller eggs can sometimes develop at a slightly faster rate. Polish chickens are very frequently compared to Sultan chickens because they have very similar characteristics. You can find some Polish varieties with slightly more elaborate and striking feather patterns. Polish also have slightly better egg production than Sultans, making them a great bird to consider as an alternative to Sultans. 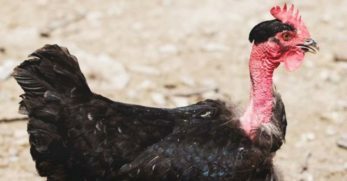 While Cochins aren’t carbon copies of Sultans, they do have many similarities. 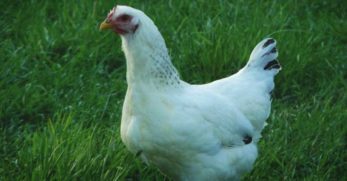 Cochins are much larger than Sultans, as well as having better egg production than Sultans. 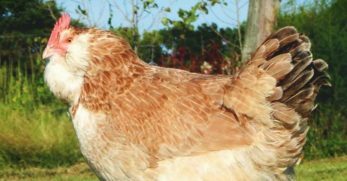 Cochins have feathered legs, but a clean face with no crest or muffs. If you’d like a broody mother, you won’t find many breeds better than Cochins. Cochins also share the sweet and docile personalities of Sultans, making a great bird to think about keeping. These birds are much like Sultans in many ways, including their size and personalities. 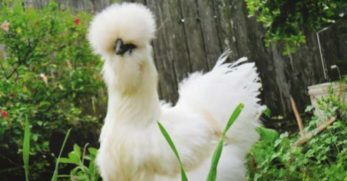 Silkies are also very popular as show birds, and have a very interesting characteristic that makes them stand out from other breeds. These chickens have an incredibly fluffy appearance, making all viewers want to stroke their soft feathers. 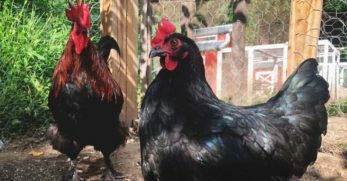 You’ll love having these birds alongside Sultans in the chicken coop! Unlike most chickens, who walk around on feet with four toes, Sultan chickens decided four toes weren’t enough! These chickens proudly sport 5 toes on each feathered foot. Despite the fact they aren’t best suited for egg or meat production, Sultans are adorable birds to have around. 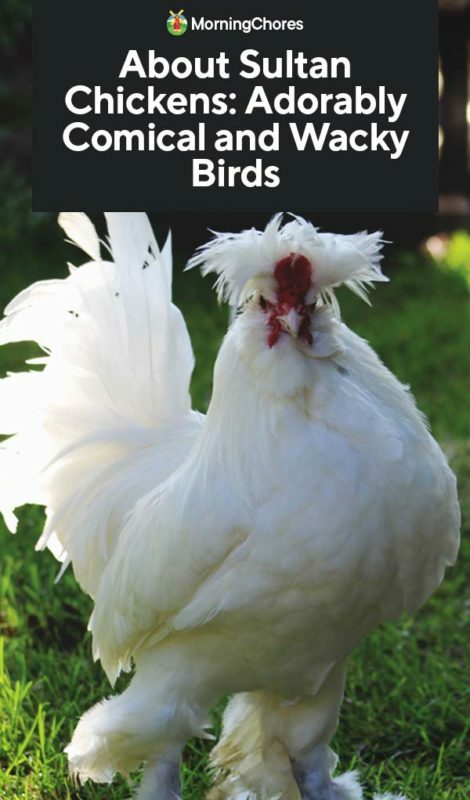 Their crested heads, feathered legs, and muffs paired with their sweet personality make them great birds to consider for showing, lawn ornaments, or even a pet! 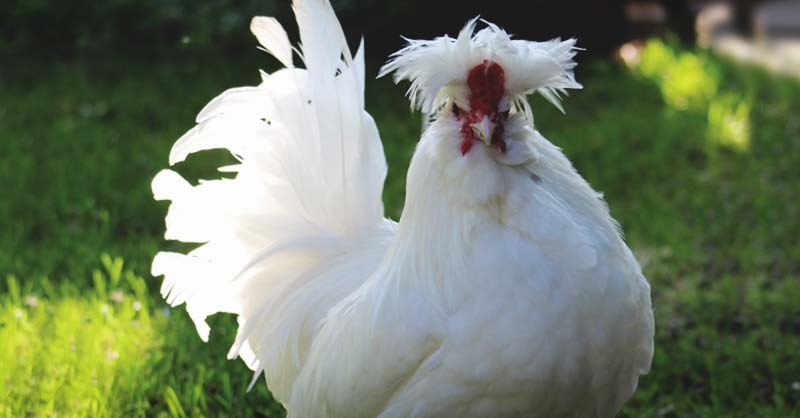 You’ll love having these perky birds in your flock showing off their plumage.